Jammu & Kashmir B.Ed Entrance Test 2019 is conducted by the Jammu and Kashmir Board of Professional Entrance Examinations (BOPEE). Candidates who appeared in the Kashmir B.Ed Entrance Test 2019 can check their result. Also, the application form for Jammu B.Ed Entrance Test 2019 is now available. Eligible candidates can apply online. The candidates will be shortlisted for admission to B.Ed programme on the basis of their performance in the entrance test. The application form for Jammu B.Ed Entrance Examination 2019 will be available from April 3, 2019. Check more details regarding the Jammu and Kashmir B.Ed Entrance Test 2019 in the article below. The result of Kashmir B.Ed Entrance Test 2019 has been declared. Click here to check it. The application form for Jammu B.Ed Entrance Examination 2019 has been released. Click here to apply. Application form for Kashmir and Jammu B.Ed Entrance Test 2019 has been released in the month of January & April respectively. Candidates can check the dates below, candidates are advised to fill the online form as soon as possible to avoid last minute hassle. Check the complete schedule for J&K B.Ed Entrance Test 2019 in the table below. 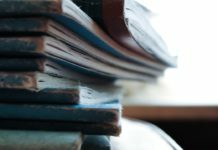 Should possess a B.A./B.Sc./B.Com./B.C.A./B.B.A. degree or equivalent from a recognized University/Institution according to the 10+2+3 pattern or any other qualification considered equivalent under the statutes of the University of Kashmir governing the award of B.Ed. Degree. Must have obtained a minimum 50% of marks in aggregate in the qualifying examination in open merit (including Sports Category, CDP/JkPM) and not less than 40% of marks in aggregate in any reserved category (SC/ST/RBA/ALC/OSC). The candidates appearing/ appeared in the qualifying examination are also eligible to apply but they must have passed the qualifying examination and secured the percentage of marks required as at above at the time of admission to the B.Ed. Course. The application form is available in online mode only at jakbopee.org or jakbopee.net. Candidates need to register first by providing their valid general details like Name, Date of Birth etc and then proceed to fill in other required details in the online application. Upload a scanned copy of the photograph, signature and thumb impression as per the specifications. On completion of the above-mentioned steps, submit the online application and make payment for the application. The examination fee is Rs. 1200/-. 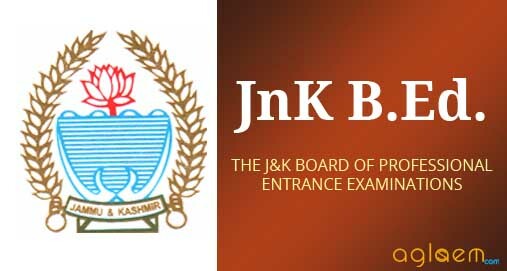 The admit card for Jammu & Kashmir B.Ed Entrance Test 2019 will be released online at jakbopee.org. The registered candidates can download there admit card by entering details such as Application Number and Date of Birth. It is mandatory for candidates to bring the admit card at the examination centre, failing which, they will not be allowed to sit for the test. Candidates will have to affix a recent passport photo on the admit card and get it attested by a gazetted officer. The candidates should preserve the admit card till the admission process is not over. Additionally, candidates can also avail these services at Common Service Centres of J&K State at nominal charges or at any National Informatics Centre located at the office of the Deputy Commissioner of the concerned District. 10:55 AM Reporting time in the Examination Hall. 11:00 AM The Invigilator shall ascertain the identity of each candidate by comparing his/her facial appearance with the photograph given in the admit card and attendance sheet. 11:25 AM They will be given the Question Booklet. The Question Booklet number is to be entered on the Answer Sheet. 11:30 AM They will break open the seal of the Question Booklet and start attempting the questions. 02:00 PM The candidates will hand over the OMR Answer Sheets to the Invigilator, take the Question Booklet and OMR candidate’s copy along with them and leave the examination hall only when they are asked to leave. Marking Scheme: For every correct answer, 01 marks will be given. 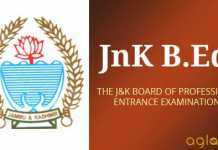 Jammu & Kashmir B.Ed 2019 answer Key will be released after the entrance exam. Once the exam will be held successfully at all the test centres, the BOPEE will release the answer key for Jammu aspirants on the day of the exam itself. With the help of J&K B.ED Answer Key, the candidates can cross check their answers and estimate their probable score. The candidates can also submit objection(s) if there is any in the answer key, either online or by sending the necessary proof to the BOPEE office at Srinagar/Jammu within the three working days. The merit lists for J&K B.Ed Entrance Test 2019 will be prepared on the basis of inter-se merit of the candidates in the entrance examination in the descending order for Open Merit Category and for each Reserved Category. The merit list for Open Category and Reserved Category would be available separately. Kashmir B.Ed Result 2019 has been published online at the Board’s website. Candidates who appeared for the test can check their result by entering their roll number. The result is available online as well as in both the offices of the BOPEE at Jammu and Srinagar/Jammu. There shall be no re-evaluation/ rechecking of OMR Answer Sheets. However, the candidates can apply for Re-totaling of marks by sending a written request along with payment receipt of Rs. 1000/- paid at the POS terminal at BOPEE office Srinagar/Jammu. Click Here to check the Admission Notification for Jammu B.Ed Entrance Examination 2019. 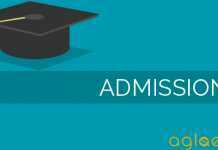 Click here to check the Admission Notification for B.Ed. Kashmir (IASE) & B.Ed. Special Education (CRC) Courses. For more information on Kashmir B.Ed 2019 entrance exam candidates can Download Information Brochure. For more information on Jammu B.Ed 2019 entrance exam candidates can refer the 2018 information brochure, Download Information Brochure. Insofar, only the details for Kashmir B.Ed Entrance Examination and Dates, Eligibility Criteria for Jammu B.Ed has been announced. Information on this page for Jammu B.Ed is based on last year information brochure and for reference purpose only. As soon as BOPEE will release the Official Notification, information will be updated here.